KBD Health provides public health consulting to private industry, government agencies, non-profits, and universities. KBD Health needed a refreshed brand and website where they could easily update and share public health initiatives with clients. 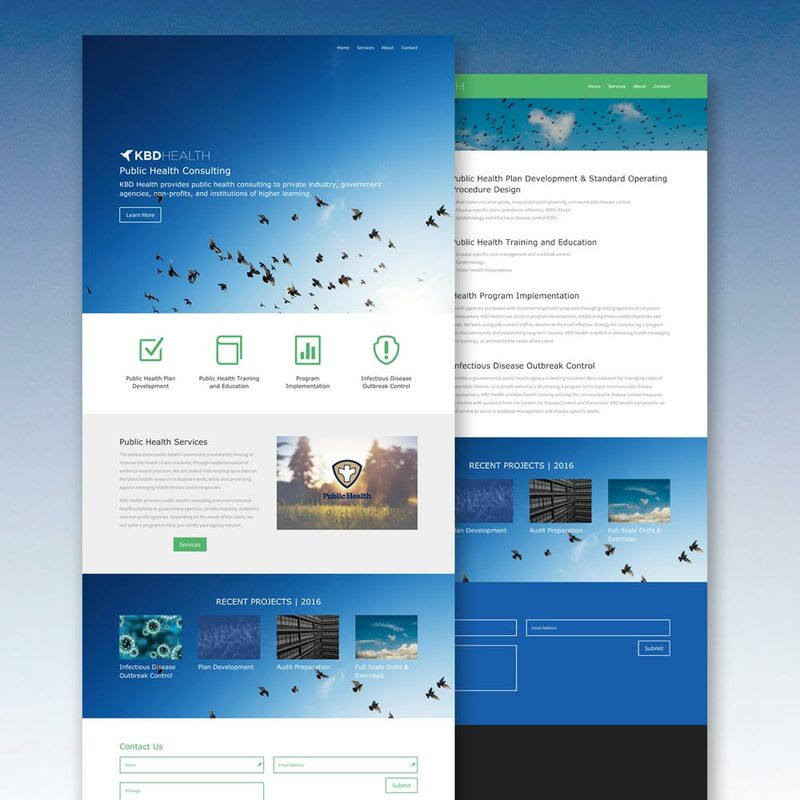 Terminus Agency provided an updated logo, brand identity, and website with a nature motif to help them reach new and existing clients. We worked alongside KBD Health Consultants to develop a fully responsive website that allows them to showcase public health initiatives to the public and government agencies. 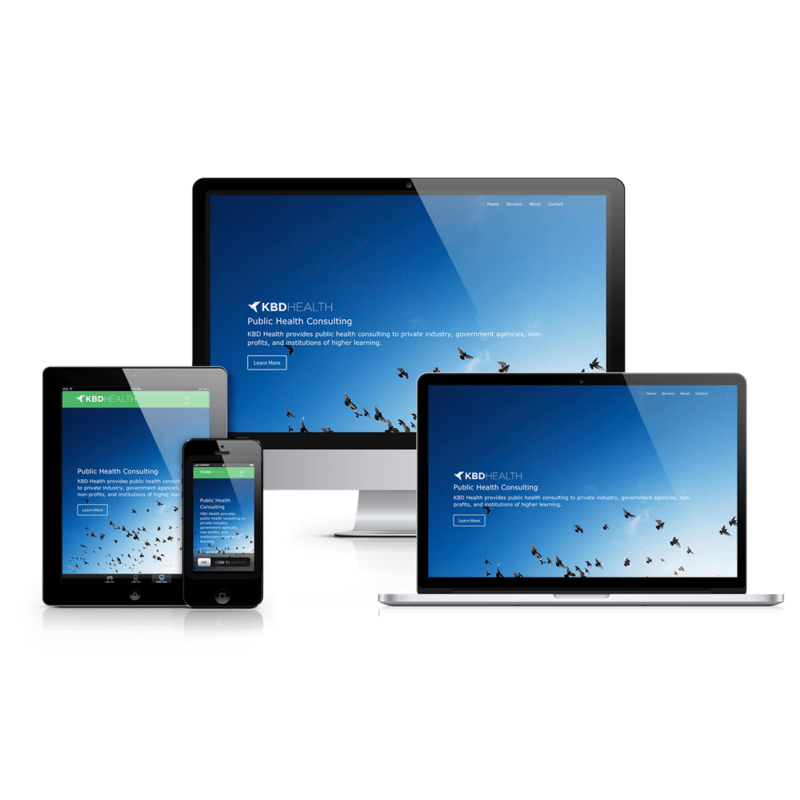 The website renders beautifully on all device sizes and types and features content dynamically based on screen size. When KBD Health Consultants outlined their brand vision and explained that they also needed a new logo, we got to work immediately. To stay within a somewhat limited budget, we adapted existing stock assets to provide a logo asset that felt both original and professional and would help them represent their brand moving forward.